Khider, Miriam; Hjerde, Erik; Hansen, Hilde; Willassen, Nils Peder. Differential expression profiling of ΔlitR and ΔrpoQ mutants reveals insight into QS regulation of motility, adhesion and biofilm formation in Aliivibrio salmonicida. BMC Genomics 2019. ISSN 1471-2164.s doi: 10.1186/s12864-019-5594-4. Le Doujet, Typhaine; De Santi, Concetta; Klemetsen, Terje; Hjerde, Erik; Willassen, Nils Peder; Haugen, Peik. Closely-related Photobacterium strains comprise the majority of bacteria in the gut of migrating Atlantic cod (Gadus morhua). Microbiome 2019. ISSN 2049-2618. Khider, Miriam; Willassen, Nils Peder; Hansen, Hilde. The alternative sigma factor RpoQ regulates colony morphology, biofilm formation and motility in the fish pathogen Aliivibrio salmonicida. (fulltekst) BMC Microbiology 2018; Volum 18. ISSN 1471-2180.s doi: 10.1186/s12866-018-1258-9. Dang, Nga Phuong; Willassen, Nils Peder; O'Sadnick, Megan Eileen; Petrich, Christian. Effect of Oil Pollution and Ice Formation on Microbial Community of Seawater from Ofotfjorden, Norway. (data) 2018 ISBN 978-0-660-04851-2.s 546 - 558. Karlsen, Christian; Hjerde, Erik; Klemetsen, Terje; Willassen, Nils Peder. Pan genome and CRISPR analyses of the bacterial fish pathogen Moritella viscosa. BMC Genomics 2017; Volum 18:313. ISSN 1471-2164.s doi: 10.1186/s12864-017-3693-7. Klemetsen, Terje; Raknes, Inge Alexander; Fu, Juan; Agafonov, Aleksander; Veerabadran Balasundaram, Sudhagar; Tartari, Giacomo; Robertsen, Espen Mikal; Willassen, Nils Peder. The MAR databases: development and implementation of databases specific for marine metagenomics.. Nucleic Acids Research 2017; Volum 46 (D1). ISSN 0305-1048.s D692 - D699.s doi: 10.1093/nar/gkx1036. Dang, Nga Phuong; Landfald, Bjarne; Willassen, Nils Peder. Biological surface-active compounds from marine bacteria. Environmental technology 2016; Volum 37 (9). ISSN 0959-3330.s 1151 - 1158.s doi: 10.1080/09593330.2015.1103784. De Santi, Concetta; Willassen, Nils Peder; Williamson, Adele Kim. Biochemical characterization of a family 15 carbohydrate esterase from a bacterial marine Arctic metagenome. PLoS ONE 2016; Volum 11: e0159345 (7). ISSN 1932-6203.s 1 - 22.s doi: 10.1371/journal.pone.0159345. De Santi, Concetta; Leiros, Hanna-Kirsti S.; Di Scala, Alessia; de Pascale, Donatella; Altermark, Bjørn; Willassen, Nils Peder. Biochemical characterization and structural analysis of a new cold-active and salt-tolerant esterase from the marine bacterium Thalassospira sp.. Extremophiles 2016; Volum 20 (3). ISSN 1431-0651.s 323 - 336.s doi: doi: 10.1007/s00792-016-0824-z. De Santi, Concetta; Altermark, Bjørn; Pierechod, Marcin Miroslaw; Ambrosino, Luca; de Pascale, Donatella; Willassen, Nils Peder. Characterization of a cold-active and salt tolerant esterase identified by functional screening of Arctic metagenomic libraries. BMC Biochemistry 2016; Volum 17. ISSN 1471-2091.s 1 - 13.s doi: 10.1186/s12858-016-0057-x. Holm, Kåre Olav; Nilsson, Kristina; Hjerde, Erik; Willassen, Nils Peder; Milton, Debra L. Complete genome sequence of Vibrio anguillarum strain NB10, a virulent isolate from the Gulf of Bothnia. Standards in Genomic Sciences 2015; Volum 10 (60). ISSN 1944-3277.s doi: 10.1186/s40793-015-0060-7. Hansen, Hilde; Johansen, Jostein a; Leiros, Hanna-Kirsti S.; Purohit, Amit Anand; Willassen, Nils Peder; Bjelland, Ane Mohn; Kellermann, Stefanie J.. The autoinducer synthases LuxI and AinS are responsible for temperature-dependent AHL production in the fish pathogen Aliivibrio salmonicida. BMC Microbiology 2015. ISSN 1471-2180.s doi: 10.1186/s12866-015-0402-z. Moe, Elin; Assefa, Netsanet Gizaw; Leiros, Ingar; Torseth, Kathrin; Smalås, Arne O.; Willassen, Nils Peder. Reduced Hydrophobicity of the Minor Groove Intercalation Loop is Critical for Efficient Catalysis by Cold Adapted Uracil-DNA N-Glycosylase from Atlantic Cod. Journal of Thermodynamics & Catalysis 2015; Volum 6 (3). ISSN 2157-7544.s doi: 10.4172/2157-7544.1000155. De Santi, Concetta; Altermark, Bjørn; de Pascale, Donatella; Willassen, Nils Peder. Bioprospecting around Arctic islands: Marine bacteria as rich source of biocatalysts. Journal of Basic Microbiology 2015; Volum 55. ISSN 0233-111X.s 1 - 16.s doi: 10.1002/jobm.201500505. Hjerde, Erik; Karlsen, Christian; Sørum, Henning; Parkhill, Julian; Willassen, Nils Peder; Thomson, Nicholas R.. Co-cultivation and transcriptome sequencing of two co-existing fish pathogens Moritella viscosa and Aliivibrio wodanis. BMC Genomics 2015; Volum 16 (447). ISSN 1471-2164.s 1 - 13.s doi: 10.1186/s12864-015-1669-z. Hansen, Hilde; Purohit, Amit Anand; Leiros, Hanna-Kirsti S.; Johansen, Jostein; Kellermann, Stefanie J.; Bjelland, Ane Mohn; Willassen, Nils Peder. The autoinducer synthases LuxI and AinS are responsible for temperature-dependent AHL production in the fish pathogen Aliivibrio salmonicida. BMC Microbiology 2015; Volum 15 (69). ISSN 1471-2180.s doi: 10.1186/s12866-015-0402-z. Kashulin, Alexander; Sørum, Henning; Hjerde, Erik; Willassen, Nils Peder. IS elements in Aliivibrio salmonicida LFI1238: Occurrence, variability and impact on adaptability. Gene 2015; Volum 554 (1). ISSN 0378-1119.s 40 - 49.s doi: 10.1016/j.gene.2014.10.019. Bjerga, Gro Elin Kjæreng; Hjerde, Erik; De Santi, Concetta; Williamson, Adele Kim; Smalås, Arne O.; Willassen, Nils Peder; Altermark, Bjørn. High quality draft genome sequence of Streptomyces sp. strain AW19M42 isolated from a sea squirt in Northern Norway. Standards in Genomic Sciences 2014; Volum 9 (3). ISSN 1944-3277.s doi: 10.4056/sigs.5038901. Strand, Mårten; Carlsson, Marcus; Uvell, Hanna; Islam, Koushikul; Edlund, Karin; Cullman, Inger; Altermark, Bjørn; Mei, Ya-Fang; Elofsson, Mikael; Willassen, Nils Peder; Wadell, Göran; Almqvist, Fredrik. Isolation and Characterization of Anti-Adenoviral Secondary Metabolites from Marine Actinobacteria. Marine Drugs 2014; Volum 12 (2). ISSN 1660-3397.s 799 - 821.s doi: 10.3390/md12020799. De Santi, Concetta; Tedesco, P; Ambrosino, L; Altermark, Bjørn; Willassen, Nils Peder; De Pascale, D. A new alkaliphilic cold-active esterase from the psychrophilic marine bacterium Rhodococcus sp. : Functional and structural studies and biotechnological potential. Applied Biochemistry and Biotechnology 2014; Volum 172 (6). ISSN 0273-2289.s 3054 - 3068.s doi: 10.1007/s12010-013-0713-1. Hansen, Hilde; Bjelland, Ane Mohn; Pain, Maria; Robertsen, Espen Mikal; Willassen, Nils Peder. LitR Is a Repressor of syp Genes and Has a Temperature-Sensitive Regulatory Effect on Biofilm Formation and Colony Morphology in Vibrio (Aliivibrio) salmonicida. Applied and Environmental Microbiology 2014; Volum 80 (17). ISSN 0099-2240.s 5530 - 5541.s doi: 10.1128/AEM.01239-14. Assefa, Netsanet Gizaw; Niiranen, Laila; Johnson, Kenneth; Leiros, Hanna-Kirsti S.; Smalås, Arne O.; Willassen, Nils Peder; Moe, Elin. Structural and biophysical analysis of interactions between cod and human uracil-DNA N-glycosylase (UNG) and UNG inhibitor (Ugi). Acta Crystallographica Section D: Biological Crystallography 2014; Volum 70 (8). ISSN 0907-4449.s 2093 - 2100.s doi: 10.1107/S1399004714011699. Hjerde, Erik; Pierechod, Marcin Miroslaw; Williamson, Adele Kim; Bjerga, Gro Elin Kjæreng; Willassen, Nils Peder; Smalås, Arne O.; Altermark, Bjørn. Draft Genome Sequence of the Actinomycete Rhodococcus sp. Strain AW25M09, Isolated from the Hadsel Fjord, Northern Norway. Genome Announcements 2013; Volum 1 (2). ISSN 2169-8287.s doi: 10.1128/genomeA.00055-13. Purohit, Amit Anand; Johansen, Jostein a; Hansen, Hilde; Leiros, Hanna-Kirsti S.; Kashulin, Alexander; Karlsen, Christian; Smalås, Arne O.; Haugen, Peik; Willassen, Nils Peder. Presence of acyl-homoserine lactones in 57 members of the Vibrionaceae family. Journal of Applied Microbiology 2013; Volum 115 (3). ISSN 1364-5072.s 835 - 847.s doi: 10.1111/jam.12264. Karlsen, Christian; Sørum, Henning; Willassen, Nils P; Åsbakk, Kjetil. Moritella viscosa bypasses Atlantic salmon epidermal keratocyte clearing activity and might use skin surfaces as a port of infection. Veterinary Microbiology 2012; Volum 154 (3-4). ISSN 0378-1135.s 353 - 362.s doi: 10.1016/j.vetmic.2011.07.024. Ahmad, Rafi; Hansen, Geir Åsmund; Hansen, Hilde; Hjerde, Erik; Pedersen, hege lynum; Paulsen, steinar; Nyrud, May Liss Julianne; Strauss, Anja; Willassen, Nils Peder; Haugen, Peik. Prediction, microarray and northern blot analyses identify new intergenic small RNAs in aliivibrio salmonicida. Journal of Molecular Microbiology and Biotechnology 2012; Volum 22 (6). ISSN 1464-1801.s 352 - 360.s doi: 10.1159/000345769. Kahlke, Tim; Goesmann, Alexander; Hjerde, Erik; Willassen, Nils Peder; Haugen, Peik. Unique core genomes of the bacterial family vibrionaceae: insights into niche adaptation and speciation. BMC Genomics 2012; Volum 13. ISSN 1471-2164.s doi: 10.1186/1471-2164-13-179. Lindell, Kristoffer; Fahlgren, Anna; Hjerde, Erik; Willassen, Nils Peder; Fällman, Maria; Milton, Debra L. Lipopolysaccharide O-Antigen Prevents Phagocytosis of Vibrio anguillarum by Rainbow Trout (Oncorhynchus mykiss) Skin Epithelial Cells. PLoS ONE 2012; Volum 7 (5). ISSN 1932-6203.s doi: 10.1371/journal.pone.0037678. Bjornsdottir, Bryndis; Hjerde, Erik; Bragason, Birkir Th. ; Gudmundsdottir, Thorunn; Willassen, Nils Peder; Gudmundsdottir, Bjarnheidur. Identification of type VI secretion systems in Moritella viscosa. Veterinary Microbiology 2012; Volum 158 (3-4). ISSN 0378-1135.s 436 - 442.s doi: 10.1016/j.vetmic.2012.02.030. Hansen, Geir Åsmund; Ahmad, Rafi; Hjerde, erik; Fenton, Christopher Graham; Willassen, Nils Peder; Haugen, Peik. Expression profiling reveals Spot 42 small RNA as a key regulator in the central metabolism of Aliivibrio salmonicida. BMC Genomics 2012; Volum 13. ISSN 1471-2164.s doi: 10.1186/1471-2164-13-37. Bjelland, Ane Mohn; Sørum, Henning; Tegegne, Daget Ayana; Winther-Larsen, Hanne Cecilie; Willassen, Nils Peder; Hansen, Hilde. LitR of Vibrio salmonicida Is a Salinity-Sensitive Quorum-Sensing Regulator of Phenotypes Involved in Host Interactions and Virulence. Infection and Immunity 2012; Volum 80 (5). ISSN 0019-9567.s 1681 - 1689.s doi: 10.1128/IAI.06038-11. Assefa, Netsanet Gizaw; Niiranen, Laila; Willassen, Nils P; Smalås, Arne O.; Moe, Elin. Thermal unfolding studies of cold adapted uracil-DNA N-glycosylase (UNG) from Atlantic cod (Gadus morhua). A comparative study with human UNG. Comparative Biochemistry and Physiology - Part B: Biochemistry & Molecular Biology 2012; Volum 161 (1). ISSN 1096-4959.s 60 - 68.s doi: 10.1016/j.cbpb.2011.09.007. Weber, Barbara; Lindell, Kristoffer; El Qaidi, Samir; Hjerde, erik; Willassen, Nils P; Milton, Debra L. The phosphotransferase VanU represses expression of four qrr genes antagonizing VanO-mediated quorum-sensing regulation in Vibrio anguillarum. Microbiology 2011; Volum 157. ISSN 1350-0872.s 3324 - 3339.s doi: 10.1099/mic.0.051011-0. Karlsen, Christian; Espelid, sigrun; Willassen, Nils P; Paulsen, steinar. Identification and cloning of immunogenic Aliivibrio salmonicida Pal-like protein present in profiled outer membrane and secreted subproteome. Diseases of Aquatic Organisms 2011; Volum 93 (3). ISSN 0177-5103.s 215 - 223.s doi: 10.3354/dao02302. Pedersen, hege lynum; Ahmad, Rafi; Riise, EK; Leiros, Hanna-Kirsti S.; Hauglid, Stefan; Espelid, S; Brandsdal, Bjørn Olav; Leiros, Ingar; Willassen, Nils P; Haugen, Peik. Experimental and computational characterization of the ferric uptake regulator from Aliivibrio salmonicida (Vibrio salmonicida). Journal of Microbiology 2010; Volum 48 (2). ISSN 1225-8873.s 174 - 183.s doi: 10.1007/s12275-010-9199-5. Thorvaldsen, Steinar; Flå, Tor; Willassen, Nils P. DeltaProt: a software toolbox for comparative genomics. BMC Bioinformatics 2010; Volum 11. ISSN 1471-2105.s doi: 10.1186/1471-2105-11-573. Ræder, Inger Lin Uttakleiv; Moe, Elin; Willassen, Nils Peder; Smalås, Arne Oskar; Leiros, Ingar. Structure of uracil-DNA N-glycosylase (UNG) from Vibrio cholerae: mapping temperature adaptation through structural and mutational analysis. Acta Crystallographica. Section F : Structural Biology and Crystallization Communications 2010; Volum 66. ISSN 1744-3091.s 130 - 136.s doi: 10.1107/S1744309109052063. Ahmad, Rafi; Brandsdal, Bjørn Olav; Michaud-Soret, Isabelle; Willassen, Nils Peder. Ferric uptake regulator protein: Binding free energy calculations and per-residue free energy decomposition. Proteins: Structure, Function, and Genetics 2009; Volum 75 (2). ISSN 0887-3585.s 373 - 386.s doi: 10.1002/prot.22247. Ahmad, Rafi; Hjerde, erik; Hansen, Geir Åsmund; Haugen, Peik; Willassen, Nils Peder. Prediction and Experimental Testing of Ferric Uptake Regulator Regulons in Vibrios. Journal of Molecular Microbiology and Biotechnology 2009; Volum 16 (3-4). ISSN 1464-1801.s 159 - 168.s doi: 10.1159/000128322. Pedersen, hege lynum; Willassen, Nils Peder; Leiros, Ingar. The first structure of a cold-adapted superoxide dismutase (SOD): biochemical and structural characterization of iron SOD from Aliivibrio salmonicida. Acta Crystallographica. Section F : Structural Biology and Crystallization Communications 2009; Volum 65. ISSN 1744-3091.s 84 - 92.s doi: 10.1107/S1744309109001110. Ahmad, Rafi; Hjerde, erik; Hansen, Geir Åsmund; Haugen, Peik; Willassen, Nils Peder. Prediction and Experimental Testing of Ferric Uptake Regulator Regulons in Vibrios. Journal of Molecular Microbiology and Biotechnology 2008. ISSN 1464-1801.s doi: 10.1159/000128322. Karlsen, Christian; Paulsen, Steinar Martin; Tunsjø, Hege Smith; Krinner, Simone; Sørum, Henning; Haugen, Peik; Willassen, Nils Peder. Motility and flagellin gene expression in the fish pathogen Vibrio salmonicida: Effects of salinity and temperature. Microbial Pathogenesis 2008; Volum 45. ISSN 0882-4010.s 258 - 264. Niiranen, Laila Mirja; Altermark, Bjørn; Brandsdal, Bjørn Olav; Leiros, Hanna-Kirsti S.; Helland, Ronny; Smalås, Arne Oskar; Willassen, Nils Peder. Effects of salt on the kinetics and thermodynamic stability of endonuclease I from Vibrio salmonicida and Vibrio cholerae. The FEBS Journal 2008; Volum 275. ISSN 1742-464X.s 1593 - 1605.s doi: 10.1111/j.1742-4658.2008.06317.x. Altermark, Bjørn; Helland, Ronny; Moe, Elin; Willassen, Nils Peder; Smalås, Arne Oskar. Environmental adaptation of endonuclease I from Vibrio salmonicida. Acta Crystallographica Section D: Biological Crystallography 2008; Volum 64. ISSN 0907-4449.s 368 - 376. Ræder, Inger Lin Uttakleiv; Leiros, Ingar; Willassen, Nils Peder; Smalås, Arne Oskar; Moe, Elin. Uracil-DNA N-glycosylase (UNG) from the marine, psychrophilic bacterium Vibrio salmonicida shows cold adapted features A comparative analysis to Vibrio cholerae uracil-DNA N-glycosylase. Enzyme and microbial technology 2008; Volum 42 (7). ISSN 0141-0229.s 594 - 600.s doi: 10.1016/j.enzmictec.2008.02.005. Altermark, Bjørn; Helland, Ronny; Moe, Elin; Willassen, Nils Peder; Smalås, Arne Oskar. Structural adaptation of endonuclease I from the cold-adapted and halophilic bacterium Vibrio salmonicida. Acta Crystallographica Section D: Biological Crystallography 2008; Volum 64. ISSN 0907-4449.s 368 - 376.s doi: 10.1107/S0907444908000097. Ahmad, Rafi; Brandsdal, Bjørn Olav; Michaud-Soret, Isabelle; Willassen, Nils Peder. Ferric uptake regulator protein: Binding free energy calculations and per-residue free energy decomposition. Proteins: Structure, Function, and Genetics 2008. ISSN 0887-3585.s doi: 10.1002/prot.22247. Hjerde, erik; Lorentzen, marit sjo; Holden, MT; Seeger, K; Paulsen, steinar; Bason, N; Churcher, C; Harris, D; Norbertczak, H; Quail, MA; Sanders, S; Thurston, S; Parkhill, J; Willassen, Nils Peder; Thomson, NR. The Genome Sequence Of The Fish Pathogen Aliivibrio salmonicida Strain LFI1238 shows extensive evidence of gene decay. BMC Genomics 2008; Volum 9. ISSN 1471-2164.s 616 - .s doi: 10.1186/1471-2164-9-616. Karlsen, Christian; Paulsen, steinar; Tunsjø, HS; Krinner, Simone; Sørum, Henning; Haugen, Peik; Willassen, Nils Peder. Motility and flagellin gene expression in the fish pathogen Vibrio salmonicida: effects of salinity and temperature. Microbial Pathogenesis 2008; Volum 45 (4). ISSN 0882-4010.s 258 - 264.s doi: 10.1016/j.micpath.2008.06.002. Altermark, Bjørn; Niiranen, Laila Mirja; Willassen, Nils Peder; Smalås, Arne Oskar; Moe, Elin. Comparative studies of endonuclease I from cold-adapted Vibrio salmonicida and mesophilic Vibrio cholerae. The FEBS Journal 2007; Volum 274. ISSN 1742-464X.s doi: 10.1111/j.1742-4658.2006.05580.x. Ræder, Inger Liv Uttakleiv; Paulsen, Steinar; Smalås, Arne Oskar; Willassen, Nils Peder. Effect of fish skin mucus on the soluble proteome of Vibrio salmonicida analysed by 2-D gel electrophoresis and tandem mass spectrometry. Microbial Pathogenesis 2007; Volum 42. ISSN 0882-4010.s 36 - 45.s doi: 10.1016/j.micpath.2006.10.003. Riise, Ellen Kristin; Lorentzen, marit sjo; Helland, Ronny; Smalås, Arne Oskar; Leiros, Hanna-Kirsti S.; Willassen, Nils Peder. The first structure of a cold-active catalase from Vibrio salmonicida at 1.96 angstrom reveals structural aspects of cold adaptation. Acta Crystallographica Section D: Biological Crystallography 2007; Volum 63. ISSN 0907-4449.s 135 - 148.s doi: 10.1107/S0907444906043812. Altermark, Bjørn; Thorvaldsen, Steinar; Moe, Elin; Smalås, Arne Oskar; Willassen, Nils Peder. Sequence comparison and environmental adaptation of a bacterial endonuclease. Computational biology and chemistry (Print) 2007; Volum 31 (3). ISSN 1476-9271.s 163 - 172.s doi: 10.1016/j.compbiolchem.2007.03.003. Thorvaldsen, Steinar; Hjerde, Erik; Fenton, Christopher Graham; Willassen, Nils Peder. Molecular characterization of cold adaptation based on ortholog protein sequences from Vibrionaceae species. Extremophiles 2007; Volum 11 (5). ISSN 1431-0651.s 719 - 732.s doi: 10.1007/s00792-007-0093-y. Sælensminde, Gisle; Saelensminde, G; Halskau, Øyvind; Halskau, O; Helland, Ronny; Willassen, Nils Peder; Jonassen, I. Structure-dependent relationships between growth temperature of prokaryotes and the amino acid frequency in their proteins. Extremophiles 2007; Volum 11. ISSN 1431-0651.s 585 - 596.s doi: 10.1007/s00792-007-0072-3. Niiranen, Laila Mirja; Espelid, Sigrun; Karlsen, Christian; Mustonen, M; Paulsen, Steinar; Heikinheimo, Pirkko a; Willassen, Nils Peder. Comparative expression study to increase the solubility of cold adapted Vibrio proteins in Escherichia coli. Protein Expression and Purification 2007; Volum 52. ISSN 1046-5928.s 210 - 218. Sørum, Henning; Willassen, Nils Peder; Johansen, Renate. Quorum sensing inhibitorer åpner for muligheter til å bekjempe sykdommer også i akvakultur. Norsk Veterinærtidsskrift 2006; Volum 118 (7). ISSN 0332-5741.s 458 - 461. Larsen, Atle Noralf; Moe, Elin; Helland, Ronny; Gjellesvik, Dag Rune; Willassen, Nils Peder. Characterization of a recombinantly expressed proteinase K-like enzyme from a psychrotrophic Serratia sp. The FEBS Journal 2006; Volum 273 (1). ISSN 1742-464X.s 47 - 60. Helland, Ronny; Larsen, Atle Noralf; Smalås, Arne Oskar; Willassen, Nils Peder. The 1.8 angstrom crystal structure of a proteinase K-like enzyme from a psychrotroph Serratia species. The FEBS Journal 2006; Volum 273. ISSN 1742-464X. Riise, Ellen Kristin; Lorentzen, Marit Sjo; Helland, Ronny; Willassen, Nils P. Crystallization and preliminary X-ray diffraction analysis of a cold-adapted catalase from Vibrio salmonicida. Acta Crystallographica. Section F : Structural Biology and Crystallization Communications 2006; Volum 62 (1). ISSN 1744-3091. Lorentzen, Marit Sjo; Moe, Elin; Jouve, HM; Willassen, Nils Peder. Cold adapted features of Vibrio salmonicida catalase: characterisation and comparison to the mesophilic counterpart from Proteus mirabilis. Extremophiles 2006; Volum 10 (5). ISSN 1431-0651.s 427 - 440. Altermark, Bjørn; Smalås, Arne Oskar; Willassen, Nils Peder; Helland, Ronny. The structure of Vibrio cholerae extracellular endonuclease I reveals the presence of a buried chloride ion. Acta Crystallographica Section D: Biological Crystallography 2006; Volum 62. ISSN 0907-4449.s 1387 - 1391. Niiranen, Laila Mirja; Espelid, Sigrun; Karlsen, Christian; Mustonen, Milla; Paulsen, steinar; Heikinheimo, Pirkko; Willassen, Nils Peder. Comparative expression study to increase the solubility of cold adapted Vibrio proteins in Escherichia coli. Protein Expression and Purification 2006. ISSN 1046-5928. Johansen, R.; Nesse, Live L.; Gram, Lone; Willassen, Nils Peder; Sørum, Henning. Quorum sensing inhibitorer åpner for muligheter til å bekjempe sykdommer også i akvakultur. Norsk Veterinærtidsskrift 2006; Volum 118 (7). ISSN 0332-5741.s 460 - 464. Thorvaldsen, Steinar; Flå, Tor; Willassen, Nils Peder. Extracting Molecular Diversity between Populations through Sequence Alignments. (fulltekst) Lecture Notes in Computer Science 2005; Volum 3745. ISSN 0302-9743.s 317 - 328.s doi: 10.1007/11573067_32. Moe, Elin; Leiros, Ingar; Riise, Ellen Kristin; Olufsen, Magne; Lanes, Olav; Smalås, Arne Oskar; Willassen, Nils Peder. Optimisation of the surface electrostatics as a strategy for cold adaptation of uracil-DNA N-glycosylase (UNG) from Atlantic cod (Gadus morhua). Journal of Molecular Biology 2004; Volum 343. ISSN 0022-2836.s 1221 - 1230. Leiros, Hanna-Kirsti S.; Leiros, Hanna Kirsti Schrøder; Brandsdal, Bjørn Olav; Andersen, Ole Andreas; Os, vibeke; Leiros, Ingar; Leiros, Ingar; Helland, Ronny; Otlewski, J.; Otlewski, Jacek; Willassen, Nils Peder; Smalås, Arne Oskar. Trypsin specificity as elucidated by LIE calculations, X-ray structures, and association constant measurements. Protein Science 2004; Volum 13. ISSN 0961-8368.s 1056 - 1070. Moe, Elin; Leiros, Ingar; Riise, Ellen Kristin; Olufsen, Magne; Lanes, Olav; Smalås, Arne Oskar; Willassen, Nils Peder. Optimisation of the surface electrostatics as a strategy for cold adaptation of uracil-DNA N-glycosylase (UNG) from Atlantic cod (Gadus morhua). Journal of Molecular Biology 2004; Volum 343 (5). ISSN 0022-2836.s 1221 - 1230. Leiros, Ingar; Moe, Elin; Lanes, Olav; Smalås, Arne Oskar; Willassen, Nils Peder. The crystal structure of uracil-DNA-glycosylase from Atlantic cod (Gadus morhua) reveals cold-adaptation fetures. Acta Crystallographica Section D: Biological Crystallography 2003; Volum 59. ISSN 0907-4449.s 1357 - 1365. Lanes, Olav; Leiros, Ingar; Smalås, Arne Oskar; Willassen, Nils Peder. Identification, cloning, and expression of uracil-DNA glycosylase from Atlantic cod (gadus morhua): charcterization and homology modeling of the cold-active catalytic domain. Extremophiles 2002; Volum 6. ISSN 1431-0651.s 73 - 86. Leiros, Ingar; Lanes, Olav; Sundheim, Ottar; Helland, Ronny; Smalås, Arne Oskar; Willassen, Nils Peder. Crystallization and preliminary X-ray diffraction analysis of a cold-adapted uracil-DNA glycosylase from Atlantic cod (Gadus morhua). Acta Crystallographica Section D: Biological Crystallography 2001; Volum 57. ISSN 0907-4449.s 1706 - 1708. Leiros, Ingar; Lanes, Olav; Sundheim, Ottar; Helland, Ronny; Smalås, Arne O; Willassen, Nils P. Crystallization and preliminary X-ray diffraction analysis of a cold-adapted uracil-DNA glycosylase from Atlantic cod (Gadus morhua). Acta Crystallographica Section D: Biological Crystallography 2001; Volum 57 (11). ISSN 0907-4449.s 1706 - 1708.s doi: 10.1107/S0907444901013427. Elde, Morten; Willassen, Nils Peder; Johansen, Steinar. Functional characteriztion of isoschizomeric His-Cys box homing endonucleases from Naegleria. European Journal of Biochemistry 2000; Volum 267. ISSN 0014-2956.s 7257 - 7266. Smalås, Arne Oskar; Leiros, H. -K. S.; Os, V.; Willassen, Nils Peder. Cold adapted enzymes. Biotechnology Annual Review 2000; Volum 6. ISSN 1387-2656.s 1 - 57. Leiros, H. -K. S.; Willassen, Nils Peder; Smalås, Arne Oskar. Structural comparison of psychrophilic and mesophilic trypsins: elucidating the molecular basis of cold-adaptation. European Journal of Biochemistry 2000; Volum 267 (4). ISSN 0014-2956.s 1039 - 1049. Smalås, Arne Oskar; Leiros, Hanna-Kirsti S.; Os, V.; Willassen, Nils Peder. Cold adapted Enzymes. Biotechnology Annual Review 2000; Volum 6. ISSN 1387-2656.s 1 - 57. Elde, Morten; Haugen, Peik; Willassen, Nils Peder; Johansen, Steinar. I-Nja I, a nuclear intron-encoded homing endonuclease from Naegleria, generates a pentanucleotide 3' cleavage-overhang within a 19 base pair partially symmetric DNA recognition site. European Journal of Biochemistry 1999; Volum 259. ISSN 0014-2956.s 281 - 288. Johnsen, Helge K.; Tveiten, Helge; Willassen, Nils Peder; Arnesen, Arne Mikal. Arctic charr (Salvelinus alpinus) vitellogenin: development and validation of an enzyme-linked immunosorbent assay (ELISA).. Comparative Biochemistry and Physiology - Part B: Biochemistry & Molecular Biology 1999; Volum 124. ISSN 1096-4959.s 355 - 362. Helland, Ronny; Berglund, Gunnar Inge; Otlewski, Jacek; Apostoluk, Wlodek; Andersen, Ole Andreas; Willassen, Nils Peder; Smalås, Arne Oskar. High-resolution structures of three new trypsin-squash-inhibitor complexes: a detailed comparison with other trypsins and their complexes. Acta Crystallographica Section D: Biological Crystallography 1999; Volum 55. ISSN 0907-4449.s 139 - 148. Leiros, H. -K. S.; Willassen, Nils Peder; Smalås, Arne Oskar. Residue determinants and sequence analysis of cold-adapted trypsins. Extremophiles 1999; Volum 3. ISSN 1431-0651.s 205 - 219. Leiros, Hanna-Kirsti S.; Willassen, Nils Peder; Smalås, Arne Oskar. Residue determinants and sequence analysis of cold-adapted trypsins. Extremophiles 1999; Volum 3. ISSN 1431-0651.s 205 - 219. Leiros, Hanna-Kirsti S.; Willassen, Nils Peder; Smalås, Arne Oskar. Structural comparison of psychrophilic and mesophilic trypsins. Elucidating the molecular basis of cold-adaptation. European Journal of Biochemistry 1999; Volum 267. ISSN 0014-2956.s 1039 - 1049. Berglund, G. I.; Outzen, H.; Smalås, Arne Oskar; Willassen, Nils Peder. Purification and Characterization of Pancreatic Elastase from the North Atlantic Salmon (Salmo salar). Molecular Marine Biology and Biotechnology 1998; Volum 7. ISSN 1053-6426.s 105 - 114. Schrøder, H. -K.; Willassen, Nils Peder; Smalås, Arne Oskar. Structure of a Non-Psychrophilic Trypsin from a Cold-Adapted Fish Species. Acta Crystallographica Section D: Biological Crystallography 1998; Volum 54. ISSN 0907-4449.s 780 - 798. Helland, Ronny; Leiros, Ingar; Berglund, Gunnar Inge; Willassen, Nils Peder; Smalås, Arne Oskar. The crystal structure of anionic salmon trypsin in complex with bovine pancreatic trypsin inhibitor. European Journal of Biochemistry 1998; Volum 256 (2). ISSN 0014-2956.s 317 - 324. Schrøder, Hanna-Kirsti; Willassen, Nils Peder; Smalås, Arne Oskar. Structure of a Non-Psychrophilic Trypsin From a Cold-Adapted Fish Species. Acta Crystallographica Section D: Biological Crystallography 1998; Volum 54. ISSN 0907-4449.s 780 - 798. Outzen, heidi; Berglund, Gunnar; Smalås, Arne Oskar; Willassen, Nils Peder. Temperature and pH Sensitivity of trypsins from Atlantic Salmon (Salmo salar) in Comparison with Bovine and Porcine Trypsin. Comparative Biochemistry and Physiology - Part B: Biochemistry & Molecular Biology 1996; Volum 115. ISSN 1096-4959.s 33 - 45. Berglund, Gunnar; Smalås, Arne Oskar; Hordvik, Asbjørn; Willassen, Nils Peder. The crystal structure of salmon pancreatic elastase at 1.6 Å resolution. Acta Crystallographica Section D: Biological Crystallography 1995; Volum 51. ISSN 0907-4449.s 925 - 937. Drabløs, Finn; Nygård, Ståle; Petersen, Kjell; Våge, Dag Inge; Willassen, Nils Peder; Hovig, Eivind; Jonassen, Inge. ELIXIR.NO - The national infrastructure for bioinformatics. NBS Contact Meeting 2017-01-19 - 2017-01-22 2017. Pierechod, Marcin Miroslaw; De Santi, Concetta; Whitaker, Ragnhild; Moe, Elin; Antti, Henrik; Almqvist, Fredrik; Willassen, Nils Peder; Haugen, Peik. MicroMBT: Microbial communities and moving bed technology as tools for conversion of Marine Biomass. Marine Biotechnology ERA-NET Final Conference 2017-11-20 - 2017-11-21 2017. De Santi, Concetta; Whitaker, Ragnhild; Moe, Elin; Almqvist, Fredrik; Willassen, Nils Peder; Haugen, Peik. MicroMBT: Microbial communities and moving bed technology as tools for conversion of marine biomass. BIOPROSP_17 2017-03-08 - 2017-03-10 2017. De Santi, Concetta; Dragøy Whitaker, Ragnhild; Moe, Elin; Almqvist, Fredrik; Willassen, Nils Peder; Haugen, Peik. MicroMBT: Microbial communities and moving bed technology as tools for conversion of marine biomass. MaCuMBA: International marine microbiome conference 2016-06-27 - 2016-06-30 2016. De Santi, Concetta; Willassen, Nils Peder; Smalås, Arne O.; Williamson, Adele Kim. A novel carbohydrate esterase isolated from an arctic environmental metagenome. 11th Carbohydrate Bioengineering Meeting (CBM11) 2015-05-10 - 2015-05-13 2015. De Santi, Concetta; Willassen, Nils Peder; Smalås, Arne O.; Williamson, Adele Kim. A novel carbohydrate esterase isolated from an arctic environmental metagenome. BIOPROSP 2015-02-18 - 2015-02-20 2015. Piotrowski, Yvonne; Assefa, Netsanet Gizaw; Helland, Ronny; Johannessen, Kirsti Merete; Willassen, Nils Peder; Larsen, Atle Noralf. Enzymes from the Arctic - The cold gold. BioProsp 2015 2015-02-18 - 2015-02-20 2015. Drabløs, Finn; Nygård, Ståle; Hovig, Johannes Eivind; Våge, Dag Inge; Willassen, Nils Peder; Petersen, Kjell; Jonassen, Inge. ELIXIR - An infrastructure for bioinformatics. NBS Contact Meeting 2014-01-23 - 2014-01-26 2014. Piotrowski, Yvonne; Assefa, Netsanet Gizaw; Helland, Ronny; Johannessen, Kirsti Merete; Landfald, Bjarne; Smalås, Arne O.; Jørgensen, Trond Ø.; Willassen, Nils Peder; Larsen, Atle Noralf. Enzymes from the Arctic - The cold gold. DNA polymerases: Biology, Diseases and Biomedical Applications 2014-08-31 - 2014-09-04 2014. Khider, Miriam; Haugen, Peik; Hansen, Hilde; Willassen, Nils Peder. Cloning and Characteriza0on of PUFA operon form Shewanella, with focus on EPA and DHA production in Aliivibrio wodanis. BioStruct Annual Conferance 2014 2014-08-28 - 2014-08-31 2014. Khider, Miriam; Haugen, Peik; Hansen, Hilde; Willassen, Nils Peder. Development of an expression host for cold-adapted enzymes. NorStruct Annual seminar 2014 2014-01-09 - 2014-01-10 2014. De Santi, Concetta; Altermark, Bjørn; Williamson, Adele Kim; De pascale, Donatella; Willassen, Nils Peder. Bioprospecting around Arctic islands: Marine bacteria as a rich source of biocatalysts and polyunsaturated fatty acids. The 6th international BIOPROSP Conference 2013-02-20 - 2013-02-22 2013. Williamson, Adele Kim; Altermark, Bjørn; Pedersen, hege lynum; Bjerga, Gro Elin Kjæreng; Pierechod, Marcin Miroslaw; Willassen, Nils Peder; Smalås, Arne O.. Discovery of Cold-active Enzymes from the Marine Arctic Environment. E3: Enzyme Engineering and Evolution Meeting 2013-08-25 - 2013-08-26 2013. Lærdahl, Jon Kristen; Nygård, Ståle; Jonassen, Inge; Hovig, Johannes Eivind; Petersen, Kjell; Drabløs, Finn; Willassen, Nils Peder; Våge, Dag Inge. The national technology platform for bioinformatics. NBS - Contact Meeting 2013 2013-01-31 - 2013-02-03 2013. Nguyen, Tan Thi; Robertsen, Espen; Willassen, Nils Peder; Lanes, Olav; Landfald, Bjarne. Viral enzymes from marine sediment. The 6th international BIOPROSP Conference on Marine Bioprospecting from cold marine environment 2013-02-20 - 2013-02-22 2013. 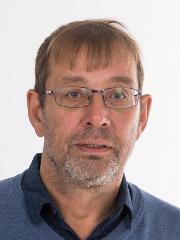 Pedersen, hege lynum; Altermark, Bjørn; Hjerde, Erik; Williamson, Adele Kim; Pierechod, Marcin Miroslaw; Bjerga, Gro Elin Kjæreng; De Santi, Concetta; Willassen, Nils Peder; Smalås, Arne O.. Genome Sequencing of Bacteria Isolated from the Arctic Marine Environment. The 6th international BIOPROSP Conference 2013-02-20 - 2013-02-22 2013. Williamson, Adele Kim; Altermark, Bjørn; Pierechod, Marcin Miroslaw; Bjerga, Gro Elin Kjæreng; Pedersen, hege lynum; De Santi, Concetta; Willassen, Nils Peder; Smalås, Arne O.. Hot Investigations into Cold-Sourced Enzymes. The 6th international BIOPROSP Conference 2013-02-20 - 2013-02-22 2013. Piotrowski, Yvonne; Johannessen, Kirsti Merete; Assefa, Netsanet Gizaw; Landfald, Bjarne; Smalås, Arne O.; Jørgensen, Trond Ø.; Willassen, Nils Peder; Larsen, Atle Noralf. MabCent - Discovery of arctic marine enzymes. NBS kontaktmøte 2012 2012-01-19 - 2012-01-22 2012. De Santi, Concetta; Tedesco, P; Altermark, Bjørn; Willassen, Nils Peder; De pascale, Donatella. Marine Biotechnology in the Arctic context: new hydrolytic enzymes for challenging reactions. Marine Microbiology & Biotechnology:Biodiscovery, Biodiversity and Bioremediation 2012 2012-11-14 - 2012-11-16 2012. Thorvaldsen, Steinar; Flå, Tor; Willassen, Nils P. Comparative bioinformatics and statistical inference of extremophile proteins. Bioinformatics 2011 (fulltekst) (omtale) 2011-05-10 - 2011-05-12 2011. Bjerga, Gro Elin Kjæreng; Williamson, Adele Kim; Pierechod, Marcin Miroslaw; Altermark, Bjørn; Willassen, Nils Peder; Jørgensen, Trond Ø.; Smalås, Arne O.. Cold-adapted enzymes from arctic sediments. NBS Winter Meeting 2011-02-05 - 2011-02-05 2011. Williamson, Adele Kim; Altermark, Bjørn; Pierechod, Marcin Miroslaw; Bjerga, Gro Elin Kjæreng; Willassen, Nils Peder; Jørgensen, Trond Ø.; Smalås, Arne O.. Bioprospecting for Psychrophillic Enzymes from a Marine Metagenomic Library. EMBO course: Modern Biophysical Methods for Protein-Ligand Interactions 2011-10-17 - 2011-10-17 2011. Bjerga, Gro Elin Kjæreng; Williamson, Adele Kim; Pierechod, Marcin Miroslaw; Altermark, Bjørn; Willassen, Nils Peder; Jørgensen, T.Ø; Smalås, Arne O.. Cold-adapted enzymes from arctic sediments. Cold-adapted enzymes from arctic sediments 2011-04-25 - 2011-04-30 2011. Williamson, Adele Kim; Bjerga, Gro Elin Kjæreng; Pierechod, Marcin Miroslaw; Altermark, Bjørn; Willassen, Nils Peder; Jørgensen, Trond Ø.; Smalås, Arne O.. Bio-prospecting For Psychrophilic Enzymes From a Marine Arctic Metagenomic Library. BIT’s 2nd Symposium on Enzymes and Biocatalysis 2011-04-25 - 2011-04-30 2011. Altermark, Bjørn; Pierechod, Marcin Miroslaw; Williamson, Adele Kim; Bjerga, Gro Elin Kjæreng; Høgås, Stian Bjørn; Jørgensen, Trond Ø.; Willassen, Nils Peder; Smalås, Arne O.. Molecules For The Future“Novel enzyme activities from environmental libraries - MARZymes”. The 5th international Conference on Marine Bioprospecting. BIOPROSP 2011 2011-02-23 - 2011-02-25 2011. Thorvaldsen, Steinar; Kahlke, Tim; Willassen, Nils P. COLD ADAPTATION OF THE VIBRIONACEAE MEMBRANE PROTEINS. 2011 ISBN 9788415045076.s 182 - . Thorvaldsen, Steinar; Kahlke, Tim; Willassen, Nils P. COLD ADAPTATION OF THE VIBRIONACEAE MEMBRANE PROTEINS. The Fourth Conference on the Biology of Vibrios 2011-11-01 - 2011-11-04 2011. Thorvaldsen, Steinar; Flå, Tor; Willassen, Nils Peder. Some statistical methods in the comparative genomics of environmental adaptation. Bioprosp 2009 (fulltekst) (omtale) 2009-02-24 - 2009-02-25 2009. Larsen, Atle Noralf; Niiranen, Laila; Johannessen, Kirsti Merete; Finstad, Solrun; Jørgensen, Trond Ø.; Willassen, Nils Peder. MabCent - Hunting for Enzymes in the cold North. BioProsp 2009 2009-02-24 - 2009-02-26 2009. Assefa, Netsanet Gizaw; Moe, Elin; Smalås, Arne Oskar; Willassen, Nils Peder. Thermodynamic characterization of uracil-DNA N-glycosylase (UNG) from Atlantic cod (Gadus morhua). The FEBS Journal 2008; Volum 275. ISSN 1742-464X.s 188 - 188. Thorvaldsen, Steinar; Flå, Tor; Willassen, Nils Peder. DeltaProt: Molecular comparison of proteins based on sequence alignments. ISBRA 2007, Third International Symposium (fulltekst) (prosjekt) 2007-05-07 - 2007-05-10 2007. Thorvaldsen, Steinar; Willassen, Nils Peder; Flå, Tor. DeltaProt: Molecular comparison of proteins. Det 14. norske statistikermøtet (omtale) 2007-06-19 - 2007-06-21 2007. Thorvaldsen, Steinar; Willassen, Nils Peder; Flå, Tor. DeltaProt: Toolbox for Molecular Comparison of Proteins based on Sequence Alignments. 5th European Conference on Computational Biology. ECCB2006 (omtale) 2007-01-21 - 2007-01-24 2007. Paulsen, steinar; Uttakleiv Ræder, Inger Lin; Hjerde, Erik; Willassen, Nils Peder. The Vibrio salmonicda genome project. The Biology of Vibrios 2006-11-07 - 2006-11-08 2006. Pedersen, Hege Lynum; Riise, Ellen Kristin; Smalås, Arne O.; Willassen, Nils Peder. Oxidative stress in Vibrio salmonicida. Bioprosp 2006-10-11 - 2006-10-12 2006. Thorvaldsen, Steinar; Flå, Tor; Willassen, Nils Peder. Statistical and bioinformatical analyses of protein sequences from cold marine environments. A comparative study of alignments. (data) 2006 ISBN 82-92461-60-4. Ræder, Inger Lin Uttakleiv; Leiros, Ingar; Willassen, Nils Peder; Smalås, Arne Oskar; Moe, Elin. Uracil-DNA N-glycosylase (UNG) from the marine psychrophilic bacterium Vibrio salmonicida shows cold adapted features. BIOPROSP 2006 2006-10-11 - 2006-10-12 2006. Altermark, Bjørn; Helland, Ronny; Niiranen, Laila Mirja; Moe, Elin; Brandsdal, Bjørn Olav; Smalås, Arne Oskar; Willassen, Nils Peder. Optimum enzymatic activity of endonuclease I from Vibrio salmonicida and Vibrio cholerae correlateswith the bacterial growth habitat. BIOPROSP 2006 2006-10-11 - 2006-10-12 2006. Helland, Ronny; Larsen, Atle Noralf; Willassen, Nils Peder. Structural basis for substrate specificity in two enzymes in the Proteinase K family. 1st ESF and MAX-INF2 Course on Membrane Proteins. The rocky road from gene to structure. Oeiras, Portugal 2005-09-19 - 2005-09-25 2005. Yang, Nannan; Espelid, sigrun; Willassen, Nils Peder; Smalås, Arne Oskar. Hypothetical proteins from Vibrio salmonicida genome: strategies for target selection, cloning and expression. . The Norwegian Biochemical Society 41st Contact meeting 2005-01-13 - 2005-01-16 2005. Ræder, Inger Liv Uttakleiv; Pedersen, hege lynum; Paulsen, steinar; Jørgensen, Trond; Willassen, Nils Peder; Smalås, Arne Oskar. Proteomic studies of Vibrio Salmonicida. The Norwegian Biochemical Society 41st Contact meeting 2005-01-13 - 2005-01-16 2005. Fenton, christopher graham; Ahmad, Rafi; Sælensminde, Gisle; Willassen, Nils Peder. Envision Software Package for the Concerted Study of Biological Data. . The Norwegian Biochemical Society 41st Contact meeting, Tromsø 2005-01-13 - 2005-01-16 2005. Lorentzen, marit sjo; Hjerde, erik; Fenton, Chris; Willassen, Nils Peder. Sequencing and annotation of two cryptic plasmids from the fish pathogen Vibrio salmonicida. The Norwegian Biochemical Society 41st Contact meeting 2005-01-13 - 2005-01-16 2005. Niiranen, Laila; Riise, Ellen Kristine; Espelid, sigrun; Heikenheimo, Pirrko; Smalås, Arne Oskar; Willassen, Nils Peder. Expression screen of three Vibrio salmonicida proteins. The Norwegian Biochemical Society 41st Contact meeting 2005-01-13 - 2005-01-16 2005. Smith Tunsjø, Hege; Mikkelsen, Helene; Paulsen, steinar; L'Abée-Lund, Trine; Willassen, Nils Peder; Sørum, Henning. Adaptive features in cold water Vibrio pathogens. The Biology of Vibrios 2005-11-07 - 2005-11-08 2005. Hansen, Geir Å; Krentz, Corinne; Ahmad, Rafi; Haugen, Peik; Paulsen, steinar; Willassen, Nils Peder. Identification of small RNAs involved in iron homeostasis and quorum sensing in Vibrio salmonicida and V. fischeri. NORSTRUCT Minisymposium 2005-11-29 - 2005-11-30 2005. Lorentzen, marit sjo; Moe, Elin; Willassen, Nils Peder. Vibrio salmonicida catalase shows cold-adapted features. . The Norwegian Biochemical Society 41st Contact meeting 2005-01-13 - 2005-01-16 2005. Altermark, Bjørn; Moe, Elin; Smalås, Arne Oskar; Willassen, Nils Peder. Are Lysines important for cold adaptation of Vibrio salmonicida nuclease?. BIOPROSP 2004 2004-10-13 - 2004-10-14 2004. Denstadli, Vegard; Eijsink, Vincent; Willassen, Nils Peder; Storebakken, Trond. Effect of phytic acid (IP6) on the activity of bovine trypsin and trypsin from Atlantic salmon (Salmo salar). 11th International Symposium on Nutrition and Feeding in Fish 2004-05-02 - 2004-05-07 2004. Moe, Elin; Leiros, Ingar; Smalås, Arne Oskar; Willassen, Nils Peder. Screening for cold adapted enzymes. BIOPROSP 2004 2004-10-13 - 2004-10-14 2004. Solem, Stein Tore; Muller, Anita; Willassen, Nils Peder; Smalås, Arne Oskar; Mjaaland, Siri; Jørgensen, Trond Ø.. Molecular aspects of antigenic determinants in the ISAV hemagglutinin. NORSTRUCT-hurtigruteseminar 2004-12-01 - 2004-12-03 2004. Larsen, Atle Noralf; Helland, Ronny; Gjellesvik, Dag Rune; Willassen, Nils Peder. Structural basis for S1-S4 specificity in two enzymes of the proteinase K family. Bioprosp 2004 2004-10-13 - 2004-10-14 2004. Olufsen, Magne; Moe, Elin; Brandsdal, Bjørn Olav; Willassen, Nils Peder; Smalås, Arne Oskar. STRUCTURAL AND ENERGETIC ASPECTS OF PROTEIN DNA-RECOGNITION. hurtigrute seminar 2003-12-01 - 2003-12-02 2003. Helland, Ronny; Czapinska, Honorata; Otlewski, Jacek; Willassen, Nils Peder; Smalås, Arne Oskar. Primary and secondary specificity of serine proteinases of the chymotrypsin family. Strategies in Macromolecular Structure Determination at 3rd Generation Synchrotron Sources (EMBO practical course) 2003-06-17 - 2003. Thorvaldsen, Steinar; Hjerde, Erik; Willassen, Nils Peder; Fenton, Chris; Flå, Tor. Celsius: A Database of Temperature Adapted Protein Structures. ECCB'2003 European Conference on Computational Biology (fulltekst) 2003-09-27 - 2003-09-30 2003. Mekonnen, Seble Merid; Olufsen, Magne; Helland, Ronny; Brandsdal, Bjørn Olav; Willassen, Nils Peder; Smalås, Arne Oskar. Residue determinants for substrate specificity from computational analysis and modeling of protein-inhibitor complexes of the subfamily S8A subtilisin-like family of serine proteinases. The 4th European Work Shop in Drug Design (4EWDD) 2003-05-25 - 2003-06-01 2003. Leiros, H. -K. S.; Willassen, Nils Peder; Smalås, Arne Oskar. Trypsins from Fish: What is so special?. 9th Annual Biotechnology Center Sympositum 1998-11-12 - 1998. Furnes, Clemens; Willassen, Nils Peder. Expression of a cold-adapted trypsinogen from Atlantic salmon (Salmo salar) in insect cells. 1998. Schrøder, H. -K.; Smalås, Arne Oskar; Willassen, Nils Peder. Structure-Function Relation Studies of Trypsin from Cold-Adapted Species. Proteins, Gordon Research Conference 1997-06-15 - 1997-06-20 1997. Schrøder, H. -K.; Willassen, Nils Peder; Smalås, Arne Oskar. Crystal Structure of a New, Non-Psychrophilic Trypsin from a Cold-Adapted Fish Species. 3rd Coastal Biotechnology Symposium and 8th Annual Biotechnology Center Symposium 1997-09-09 - 1997-09-10 1997. Schrøder, H. -K.; Willassen, Nils Peder; Smalås, Arne Oskar. Crystal Structure of a Non-Psychrophilic Trypsin from a Cold-Adapted Fish Species. Norsk Kjemisk Selskaps Landsmøte 1997-10-09 - 1997-10-10 1997. Helland, Ronny; Berglund, Gunnar; Hansen, Lars Kr; Heimstad, Eldbjørg S.; Hordvik, Asbjørn; Leiros, Ingar; Leiros, Hanna-Kirsti S.; Os, vibeke; Outzen, Heidi; Willassen, Nils Peder; Smalås, Arne Oskar. Structure-Function Relation Studies of Enzymes from Cold Adapted Species. Higher European Research Course for Users of Large Experimental Systems (HERCULES) 1995-02-26 - 1995-04-07 1995.